The Peanuts comic book from Boom! Studios returns this Wednesday, April 23, with issue #17. This month's new stories are "Balloon Bother," "Tasty is a Virtue," and "Dear Pen-Pal." You can see a 5-page preview at Comic Book Resources. 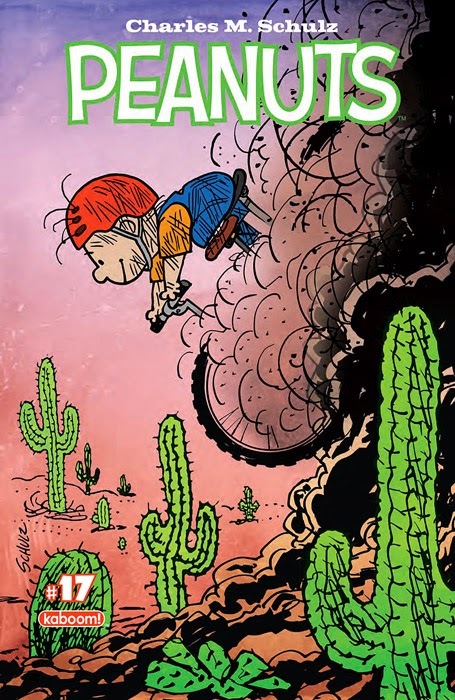 Look for Peanuts #17 at your local comic book store, or you can order it directly from Boom! Studio's website.